It noted that most of the logos, at least have sterner visages. 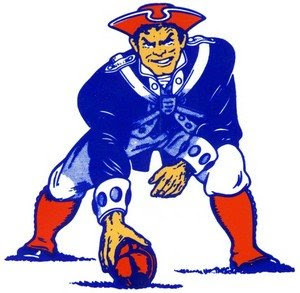 Of course, the tougher logos don't necessarily translate into greater football glory. But my questions have to do with the game tomorrow. Will you watch? Starting at what time? Do the participants affect whether you watch? Do you know who the participants are? Are you more interested in the game or the commercials? Or did you say, "What game?" If so, do you have an anti-Super Bowl tradition, such as going to the movies? I'll watch, starting at about 5 pm EST. Who participates doesn't alter my watching. I will probably record it as well, if only so I can catch the commercials if I need a break to tend to the child. Super Bowl XLIII and Its Viewers. It's no great secret that my good friend Fred Hembeck was instrumental in getting me to start blogging. I had contributed a couple things to him that he used in his blog, and that inspired me to do my own. In recent months, though, Fred's blogging output had begun to slacken appreciably. Part of that was due to the work involved in preparing for his still-available book, but also, he'd seemed to have just lost a little of his blogging mojo. As Fred himself said, "Okay, I'll admit it--regarding YouTube, I'm way, WAAAAY behind the curve. But only because I knew what would happen if I allowed myself to do more than peak into the occasional video embedded over on another blog. I knew I'd become obsessed." And obsessed he has become. 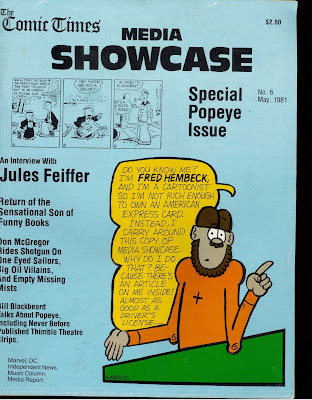 But an obsessed Fred Hembeck is a Fred Hembeck who's exciting to read. If you haven't been been by Fred Sez, or haven't been there lately, check it out. WARNING: You may spend more time there watching his YouTube links than you planned. Oh, and happy birthday, effendi - you're older than I am for five weeks! For the second weekend in a row, I saw a movie at the Spectrum Theatre, this time alone. The wife and I developed a system whereby one of us goes to the movies on Saturday and the other on Sunday. I went Saturday; unfortunately, Carol fell ill on Sunday, so she won't see it until Super Bowl Sunday. Doubt is set in New York City in 1964, the year after JFK. Just the visage of the Catholic school's old-line principal, Sister Beauvier (Meryl Streep), will bring fear into the hearts of some of the lapsed Catholics of a certain age that I know. She seems to have developed some suspicions about the trying-to-be-modern parish priest, Father Flynn (Philip Seymour Hoffman) and she ends up in a power struggle with him. This a very well-acted movie, as one would expect with actors of this caliber. This movie represents Streep's 15th Oscar nomination, though she hasn't won since 1982. Hoffman was nominated twice before, winning once. This is Amy Adams' second nomination and Viola Davis' first. Adams in particular is the sweetest nun since Sally Field played Sister Bertrille in The Flying Nun. As it is based on award-winning stage play, there is some great dialogue. I particularly liked the sermons offered as not so subtle messages. And yet...there was something about it that is at arm's length. Perhaps it was too stagy, that the adaptation did not fully take in the differences that cinema requires. Though I never saw the play, I can imagine this same scene-chewing dialogue produced on stage, quite possibly to greater effect. There were powerful themes and yet I never quite got caught up in them. It's not unlike abstract art or avant-garde jazz you believe has been well crafted but just does not engage you. I do recommend Doubt. Maybe it will take you away in a manner that I did not experience. In honor of the 45th anniversary of the Beatles on Ed Sullivan next month, where most of America first saw the Fab Four, I thought I'd track down my development as a Beatles fan. Yes, I watched Sullivan on February 9, 1964, and I thought the group was all right. But I really couldn't hear them or enjoy them over all of that SCREAMING. 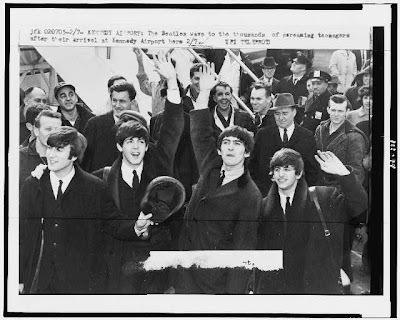 I went to school the next day and it appeared that my female classmates in the fifth grade had also been riddled by a mild form of what came to be called Beatlemania. This really turned me off from the group. Apparently, parents all over the country were fooled were fooled by this knockoff. Frankly, I don't recall how, or even if, we expressed our disappointment. In 1965, I started a paper route, which meant I had my own money. At some point after June, I joined the Capitol Record Club. 12 albums for only a penny! (If you buy 12 more at the club's inflated retail price, plus shipping.) I ordered all the Beatles' albums that were out at the time, and was horrified to discover that my Meet the Beatles was in stereo, rather than mono, since the warning on the stereo albums was that they were incompatible with a mono player; ultimately, I played it anyway. 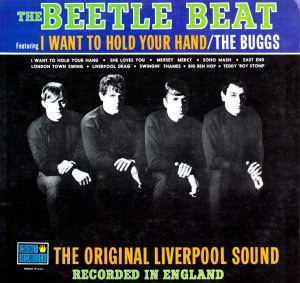 That year and the next, we would lipsynch Beatles' albums, especially Beatles VI, which was the first of the full-price albums I bought, using brooms and mops as guitars and Quaker Oats boxes as drums. . I was John, the literate, intelligent one; Leslie was Paul, who was left-handed and she thought he was CUTE; our neighbor Mary Jane was Ringo, because she thought he was CUTE; and our baby sister Marcia was George, because he was the only one left. I started reading all the magazines about the Beatles. One article stood out: John Sebastian of the Lovin' Spoonful indicated that Drive My Car was his favorite album on the album Rubber Soul. EVERYBODY knows that Drive My Car was on Yesterday...and Today, didn't they? It wasn't until a couple years later, possibly until after the breakup, when I discovered that the British albums and the American albums were not the same. I quit Capitol Record Club when I realized I could buy the albums not only cheaper, but sooner from the stores. I got Rubber Soul and Revolver from the club, but Yesterday...and Today from the Rexall Drug Store ($2.99) and Sgt. Pepper at W.T. Grant's for the outrageous amount of $3.67. 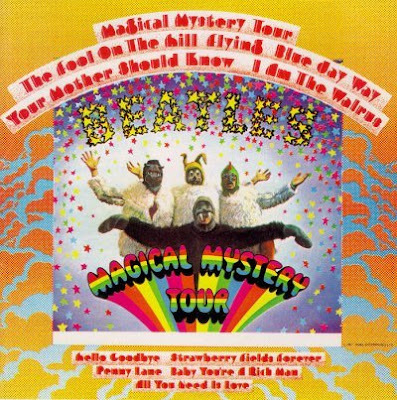 I noticed I was at least a little colorblind because it took me forever to find the word Beatles on the Magical Mystery Tour cover. I recently discussed the white album. 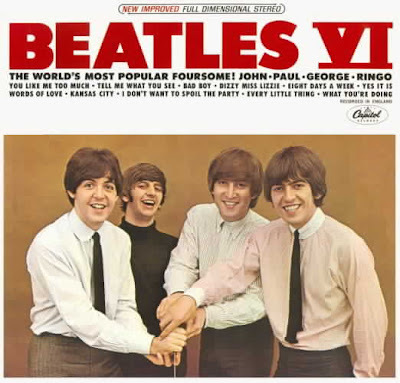 In the 1970s and early 1980s, I started reading books about the Beatles and became rather expert at what was on which album in the UK and the US, and even Italy. Recently, a colleague went to a funk concert and asked about a song called Bad Boy. 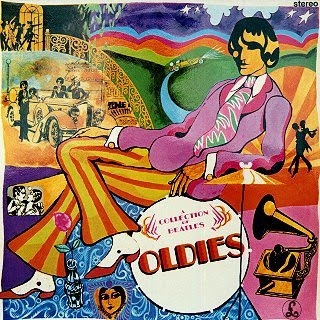 I could tell him, without looking it up, that it was a Larry Williams song from my beloved Beatles VI in America, but that it didn't show up in Britain until the mostly singles collection A Collection of Beatles Oldies But Goldies in late 1966. It's on the Past Masters 1 CD. I decided, probably foolishly, that in the next couple weeks, at random intervals, I will rank the entire list of Beatles songs, based on how much I would enjoy a piece if I haven't heard it in, say, six months. It is NOT necessarily a list of BEST songs, though quality can enhance enjoyment. The list will punish perfectly good recordings that, from overplaying, I just don't want to hear anymore. I'm going to limit the list to the canon; that is, the songs released on Beatles singles, albums and EPs through 1970. In other words, the tunes from the British Beatles CDs and from the Past Masters CDs. There will be no songs from the Anthology albums. If I were a purist, I would have separate listings for the single and album versions of Love Me Do, Let It Be and Get Back or the alternative and album versions of Across the Universe; I don't. While the single version of Get Back is what I had in mind, the coda on the album version has its charm. NASA beamed a song -- The Beatles' "Across the Universe" -- directly into deep space at 7 p.m. EST on Feb. 4, 2008. 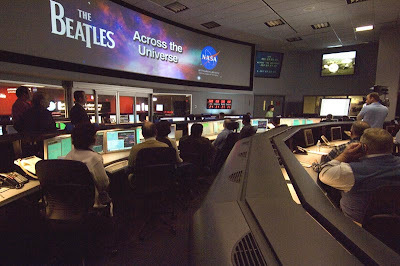 The transmission over NASA's Deep Space Network commemorated the 40th anniversary of the day The Beatles recorded the song, as well as the 50th anniversary of NASA's founding and the group's beginnings. Friday was a happening day politically in the Capital District of New York state. On one hand, there was descent. A federal grand jury indicted former state Senate Majority Leader Joseph L. Bruno on felony charges alleging he used his elected position to extract $3.2 million in private consulting fees from clients who sought to use his influence. Joe, who represented an area east of Albany for a number of years has his name on the relatively new minor league ballpark in Troy, among other things. I freely admit to experiencing a bit of schadenfreude over his fall, and it's based on a connection I'm just not going to get into just now; maybe someday. The other story was an ascent, one you might have heard about, even out of state or out of country: Gov. David Paterson picked Rep. Kirsten Gillibrand to the U.S. Senate, succeeding Hillary Clinton, who resigned after her confirmation as Secretary of State in the Obama administration. One of the out-of-town headlines read: "Little-known, pro-gun Democrat gets Clinton's Senate seat." I thought it was unfairly reductivist, so for the benefit of those of you not the Albany area, a primer. The Congressional District east and south of Albany, currently the 20th, was gerrymandered to sustain a Republican member of Congress. While the adjoining 20th (where I live) contains the Democratic-leaning cities of Albany, Schenectady and Troy, the vast 20th, largely rural and small towns was a GOP delight. 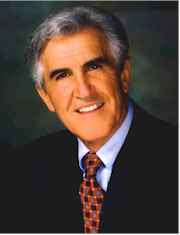 The Congressman there for 20 years was the late Gerald Solomon, who was very conservative. He was succeeded in 1999 by John Sweeney, similarly conservative - he helped George W. Bush in Florida in 2000 - but a bit of a party animal. He was seen as drinking at a college frat house, e.g. 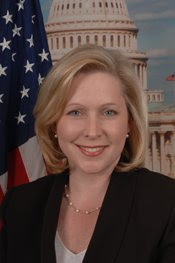 Still, when Kirsten Gillibrand challenged Sweeney in 2006, she was not given much of a chance to defeat him, such was the nature of the district. Then there were allegations of possible spousal abuse in the Sweeney household. This probably sealed the seat for Gillibrand. The best time to knock off an incumbent is after his or her first term in office. The GOP candidate in 2008 against Kirsten Gillibrand was Sandy Treadwell, who is quite wealthy. I started seeing his ads - it's the same media market - months before I saw hers. Yet she won the general election with 62% of the vote. Kirsten Gillibrand is no wide-eyed liberal, but she's no hick. My wife suggested I not write this, but write it I must: she's no Sarah Palin. She's descended from political royalty in these parts, She received her first experiences in Albany politics from her grandmother, the legendary "Polly" Noonan. City of Albany politics, because it's been one party for so long, engenders a certain conservativeness, a complaint about Gillibrand that she attempted to quell. "I will represent the many diverse views and voices of New York state," said Gillibrand, adding that she would work with Congresswoman Carolyn McCarthy, a Long Island Democrat who has criticized Gillibrand's A rating from the National Rifle Association. "I will look for ways to find common ground between upstate and downstate." On December 7, 1993, McCarthy's husband Dennis and five others were killed, and her son Kevin and 18 others wounded on a Long Island Railroad commuter train by Colin Ferguson. The New York Immigration Coalition also suggested now-Senator Gillibrand must reconsider her positions on immigration. During her tenure in the House, Representative Gillibrand took positions on immigration that are deeply troubling, to say the least. She sponsored legislation that sought to require local police officers to take on immigration enforcement duties, even though police chiefs have testified it would impair their ability to protect the public. She strongly supported throwing more resources toward ineffective border enforcement, but appeared to oppose any path to citizenship for undocumented immigrants. Simply put, these are positions that put her at odds with the majority of New Yorkers, whose values reflect our state’s history of welcoming immigrants, as well as with President Barack Obama, who supports a path to citizenship for undocumented immigrants. I could be wrong, but I think, as a statewide representative, she'll be more liberal, if only because she'll have to be to get the nomination. 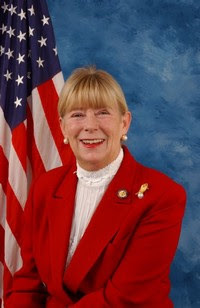 On the very day Gillibrand was named to the Senate seat, Carolyn McCarthy vowed to challenge Gillibrand, directly or indirectly, in the 2010 Democratic primary. The seat will also require candidates in 2012, when Senator Clinton's term would have been up. Now that Gov. David Paterson of New York has completed his operatic quest to fill Hillary Clinton’s Senate seat and Roland Burris, chosen by the embattled Illinois governor to succeed Barack Obama, has made it past Capitol Hill security, we can safely conclude that appointing senators might not be such a good idea. The very problems the amendment was meant to address persist. Consider this: Nearly a quarter of the United States senators who have taken office since the 17th Amendment took effect have done so via appointment. Once Representative Kirsten Gillibrand, Mr. Paterson’s choice, joins the Senate, she will be one of more than 180 senators named by governors since 1913. By contrast, the Constitution mandates special elections for all vacancies in the House — even though representatives are far less powerful than senators. Yet only a handful of states routinely fill vacated Senate seats by special election. The result is a tyranny of appointments. Not so incidentally, the race for the Gillibrand House seat will have at least three well-known Republicans, including the wealthy Sandy Treadwell, whose ads netted him 150,000 votes in 2008, but only a couple unknown Democrats. The seat will almost certainly go back to the Republican column. It may be better for Gov. Paterson, who's up for election in 2010, to have an upstate woman on the ticket running with him than to worry about one House seat. Moreover, New York will lose one, maybe two Congressional seats in 2012, after the 2010 Census, and the map, drawn by the state legislature, currently controlled in both houses by the Democrats, might well gerrymander the district out of existence. 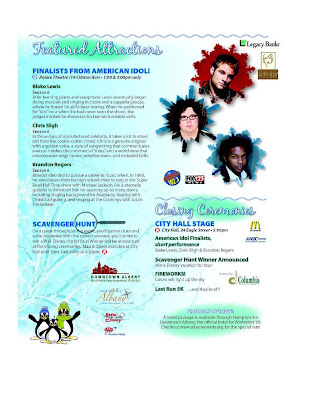 For the record, Lydia's first pop concert was Saturday, December 27, 2008 at 3 p.m., featuring American Idol season 6 finalists Blake Lewis, Chris Sligh, and Brandon Rogers, at the Palace Theatre in Albany, NY. I should note that neither of us had ever seen one minute of season 6 of American Idol, thought I had seen parts of the first five seasons. I think the victory of Taylor Hicks, plus the general meanness factor of the show just turned both my wife (the initial cheerleader for watching Idol) and me off. Thus, I had no real idea about any of these guys. First up was brief plugs by the sponsors of the show, people apparently not used to being on stage or using a microphone. Next, Brandon Rogers. I expect the order of their appearance was in reverse order of their results on Idol and I was right. Rogers, who noted that his step-grandmother was from Schenectady, was the first of the Final 12 to be eliminated. He was personable and talented. (In fact, Sligh later said he was surprised how early he had left the competition.) The best performance he played on keyboards about the pain of his injury after Idol and being unable to participate in the post-Idol rush. He also did two breakup pieces. Mostly he sang to a backing track. Altogether he performed seven songs, five of them originals, plus Stevie Wonder's Superstition. All but the last song, a cover about New Years Eve, were sung well; the final tune was a little, er, pitchy. Lydia approved. She was dancing around wildly on the uptempo sounds, running up the aisle in front of me and down the one behind me with excitement. We sat far enough back that it should not have impinged on the enjoyment of others. Chris Sligh, eliminated in the third week of the finals, did only four songs, three on guitar, and the middle of those a silly little ditty about rock stars needing money, after which he plugged his album for sale in the back. He was introduced verbatim from the flier with "it takes a lot to stand out from the cookie-cutter crowd". Unfortunately, I didn't get a sense of that from the short set, which ended with him on the keyboards singing a song to his wife of nearly six years, and emphasizing that at nearly 31, he still feels like a kid. Lydia enjoyed him well enough, especially the silly song. So BOTH of these guys fell before the infamous Sanjaya Malakar? Interesting. One didn't need to actually watch Idol to know about Sanjaya. Finally, there was Blake Lewis, the runner-up to Jordin Sparks. Evidently, he was used to working with cordless equipment because he was having all sorts of difficulties getting set up from song to song. Actually, the first piece wasn't a song at all, but him playing around on his famous (or infamous) beatbox. It was interesting, for a while, but both Lydia and I got bored. During his second real song, U2's With or Without You, he layered a bunch of vocals on the system; unfortunately, one or two of them were just a tad flat, so mixing them in a chord made for me an unpleasant experience. Meanwhile, Lydia made the final decision to go, because it was TOO LOUD. So, in review, Lydia liked it less and less as it went along. Actually, I concurred with her. There was this concert last Sunday at the Lincoln Memorial. The program was on HBO, but it was to made free to anyone with basic cable. From what I've read, a number of cable companies didn't get the word to unscramble HBO, though that was the intent. I know my cable was asking for a PIN number (yes, I know "PIN number" is redundant); Time Warner told me it is the "universal default" number, 0000, and it was. In any case, the We Are One concert is on the HBO website for free. It runs just under two hours, and starts with Bishop Gene Robinson's invocation, which was reportedly excised from the broadcast; Robinson is openly gay. From time to time, I had a buffering problem, so I decided to see if I could find at least the pop music performances on YouTube, and I did. The ones from, I think, Groban/Headley on are from one person and are pretty good quality. The earlier videos are of various folks and quality; at least one jittery video was obviously taken by someone actually at the show, not dependent on a TV feed. Bruce Springsteen "The Rising" by Bruce Springsteen. The choir is very effective. Jamie Foxx and Steve Carell Referencing Thomas Jefferson, Thurgood Marshall and Robert Kennedy - Foxx imitates Obama. James Taylor, John Legend and Jennifer Nettles "Shower the People" by James Taylor. I'm old, because I liked it. Josh Groban and Heather Headley "My Country, 'Tis of Thee"
Renee Fleming "You'll Never Walk Alone"
Garth Brooks "American Pie" by Don McLean/"Shout" (Isley Brothers)/"We Shall Be Free" (Garth Brooks). The new Commander-in-Chief knows at least some of the lyrics to American Pie. Usher, Stevie Wonder and Shakira "Higher Ground" by Stevie Wonder. A number of people suggested that Shakira was the worst performer of the day. One YouTube person wondered who that guy was playing keyboards was - it was Stevie. Samuel L. Jackson Referencing Abraham Lincoln, Rosa Parks and Martin Luther King Jr.
U2 "Pride (in the Name of Love)" and "City of Blinding Lights" by U2. Pride, especially in that setting, was particularly moving. City, I read recently, is reportedly on Obama's iPod. If this land's still made for you and me." That side was made for you and me." This land was made for you and me." Beyonce "America the Beautiful". A suitable ending. My father believed in spanking; I don't, and my sisters don't, and there is a correlation. I was reading the syndicated column by Dr. T. Berry Brazelton, Family Matters. 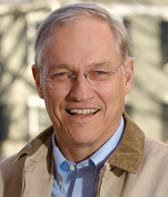 The title of one of his "Family Matters" columns in early December 2008 was "Spanking is not necessary, can be harmful". He had expressed that opinion before and that didn't surprise me. parents' authority and wisdom when physical force was used against them." Not a month before that, I had asked both of my sisters if they remembered WHY we were spanked, and except for one particular incident - my worst spanking, and I wasn't even guilty of an infraction - none of us had ANY idea. Even the baby sister, who seems to remember everything fromk our past, can't remember WHY. HOW we remember. the length of the strap, and its location in the kitchen. Often we were expected to get the strap, and failure to do so would have meant additional lashes. 1) Were you spanked as a child? How often? If so, do you think it was justified? If you weren't spanked, what types of punishments did you receive instead? 2) If you're a parent (or surrogate parent), what is your philosophy on spanking? Has Obama Solved the Economic Crisis Yet? C'mon, man, it's been three days already! OK, that first day, you did have those parties to go to. Actually, I'm pleased so far with what I've seen: halting the Guantanamo tribunals, trying to upend those last-minute Bush regulations, though the worst of them are already in place and will have to go through a more rigorous process of undoing. Plus he shut down the Detroit Lions - OK, not yet. Two Diane Feinstein sightings in three days? First she was in the movie Milk, which I saw on Sunday, then she chaired the inauguration. Oh, and when did the song America, sung by QoS, become known as My Country 'Tis Of Thee? I did like Aretha's hat, though; reminded me of those women of a certain age in the black church. I got my TIAA-CREF financial statement, and there was a certain perverse beauty to it. I lost as much in the 3rd quarter as I did in the first two; I lost as much in the 4th quarter as I did in the first three. It'll be awhile before that turns around. So I shan't complain about hearing the truth. Considering the paucity of my movie going behavior lately, nevertheless I knew that I would have to see the new Gus van Sant film, Milk, starring Sean Penn as the guy who goes from a closeted gay in New York City to the first openly gay politician in San Francisco within a decade. Part of the appeal of going for me was my love for the Bay Area. Moreover, and I did not know this until fairly recently, Harvey went to school at what is now UAlbany, the same institution where I attended library school, and got into a little trouble. So, go I did with my wife this past Sunday to Albany's Spectrum Theatre after having lunch at Justin's. Date night afternoon! Initially, my rather deep knowledge of some of the events portrayed in the movie was a bit of a hindrance to my enjoyment. It was as though I'm watching Sean Penn in a biopic. 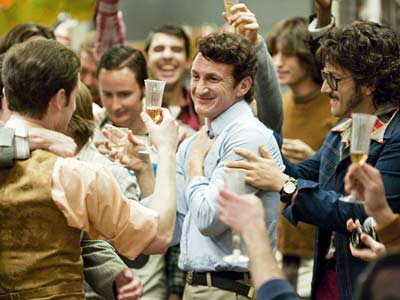 Oh, look, there's James Franco as his lover! But there's a point for me - a specific moment having to do with an election - where Penn stopped being the actor and became Harvey Milk. I'm finding it difficult to describe the film more fully. I recall that Roger Ebert got chastised in some quarters for revealing information that, I would agree, was public knowledge. The headline facts are established early via archival footage of Diane Feinstein, now a U.S. Senator. That information made me appreciate more the structure of the movie, with Milk dictating notes on a recording device amidst flashbacks. This was a well-reviewed film (92% on the Tomatometer, 91% among top critics.) One review in particular irritated me: "The exceptional The Times of Harvey Milk won the Oscar for Best Documentary 24 years ago.... Yet, all this time later... Hollywood wants us to applaud its courage for finally--finally--telling this story?" Perhaps true, but the review of the film itself was actually rather positive, yet listed as "rotten". There was quite a bit of archival footage, and I did something at this film I don't recall ever doing before; I hissed when someone appeared on the screen as though it were Snidely Whiplash. Anita Bryant was spewing her hate in the name of "Christian love"; I boycotted orange juice for years because of her. But this is no historical relic. Indeed, the fight over California's Prop 6 in the mid-1970s, which would have banned gay teachers, and 2008's Prop 8, which would ban gay marriage, made the film seem more relevant than it might have. Jimmy Carter and even Ronald Reagan opposed Prop 6, BTW. I should note a couple of the many fine performances. Emile Hirsch, who was directed by Sean Penn in the Penn-penned Into the Wild plays organizer Cleve Jones. Josh Brolin, who recently played Bush 43 in W, is Milk's more conservative colleague Dan White. It was a movie with a message, but I did not find it preachy. At the end of this film, some people, including me, applauded it. In some ways, I/they were applauding the remarkable evolution and life of Harvey Milk. My wife went to Ukraine in the summer of 2002 - the preparation for which was complicated by a bat in our home. 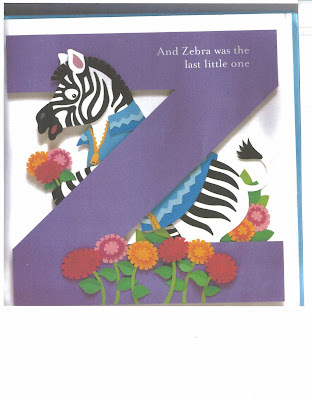 A couple years later, a friend of hers made the same teaching trip and gave our newborn daughter an alphabet book from there. The title appears to be AbETKA - it's the B-looking letter that's the second, rather than the third letter of the Cyrillic alphabet. 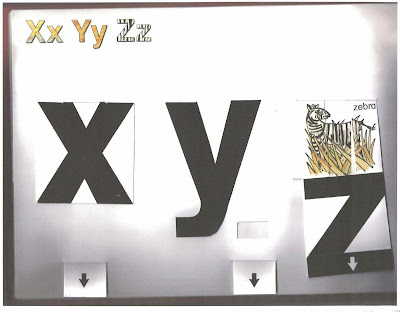 This alphabet was not entirely foreign to me. I grew up in a city called Binghamton, NY, an upstate New York locale with a number of eastern Europeans. The Russians and the Ukrainian churches, primarily Eastern Orthodox in faith, sometimes used both Cyrillic and Latin/Roman. As for the latter, it has some variety among the many languages in which it appears, such as accented letters (á, è, î), extra letters, and ligatures (two or three letters joined together - æ, e.g). this page has links how to type special letters in Windows, MAC, and HTML,m plus much more. A recent Final JEOPARDY! : 2009-01-09 ALPHABETS: In the phonetic alphabet used by the U.S. military, it's the only letter that has the same name as a warrior people. JEOPARDY! - What is Zulu? I seriously considered taking off today to stay home and just take in the moment. But I had already used one vacation day and two sick days last week. So I am recording the seven hours of coverage on ABC (10 a.m.-5 p.m.) today Don't know how much I'll actually watch, besides the speech, of course, though I am really looking forward the prayer. No, not from that guy. From THIS guy. I suspect the word inaugural and its variants are often misspelled; two u's! Reminds me of the word millennium, which was spelled quite often with only one n in 1999 and 2000. Inauguration Day 2009: Where to Watch on TV, Radio, and Online. More of Where to Watch Obama’s Inauguration Online. Since Obama's a comic book fan (Spidey and Batman), it seemed appropriate to Obamatize this picture of the Batmobile. Quincy Jones has started a petition to ask President-Elect Obama to appoint a Secretary of the Arts. While many other countries have had Ministers of Art or Culture for centuries, this country has never created such a position. The country needs the arts--now more than ever. Please take a moment to sign this important petition and then pass it on to your friends and colleagues. Now here's something that can make a positive difference in the lives of all Americans! MORE ART, LESS WAR! Isn't it convenient to always have your birthday on a Monday? (Well, it would be if ML King, Jr., like I do, took his birthday off.) For the record, his birthday was actually January 15 and he would have been 80 this year. Who woulda thunk that Ronald Reagan would be the one to sign the holiday into law in 1983? It was first in 1986, but there was a lot of resistance, and it wasn't observed in all 50 states, the Wikipedia notes, until 2000. 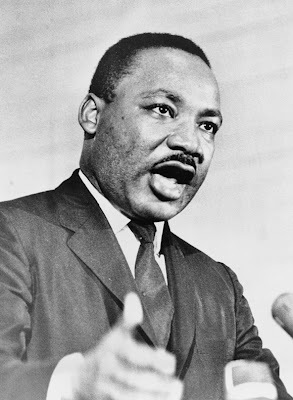 "There were many who opposed the idea of holiday for Dr. King. America had only honored two individuals with national holidays - George Washington and Christopher Columbus. Many felt that there were other Americans that deserved a national holiday, such as Abraham Lincoln and John F. Kennedy. "One barrier to the confirmation was the Senator from Georgia who had denounced Dr. King as a communist. 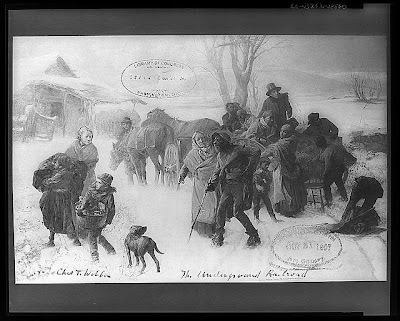 "Others feared the King holiday was meant as a way to make up to African-Americans for slavery. Other feared the cost of the holiday, with the extra overtime paid to federal workers who had to work on the holiday as well as millions to those federal employees who were paid for the day. "Senator Bob Dole pointed out to those critics "I suggest they hurry back to their pocket calculators and estimate the cost of 300 years of slavery, followed by a century or more of economic, political and social exclusion and discrimination." As I pondered writing this piece, before looking up any sources, I was going to suggest that the King holiday WAS a sort of reparations for slavery and its aftermath. And then I discover it's Bob Dole -BobDole! - who had already laid out an economic justification for the holiday. There's a lot out there about the significance of today in light of what's going to happen tomorrow. Just Google king obama and you'll know what I mean. So I hope that today's more than just a day off. The holiday's become a day of community service; I believe the Obamas will be doing just that. Quiet reflection would also be OK; there are lots of books out there - here are three picture books recommended by Rebecca, e.g. Or you can go celebrate at an event. Quiet, loud - I don't care. One thing to check out, somewhat to my surprise, is the B.C. comic strip for January 18, 2009. 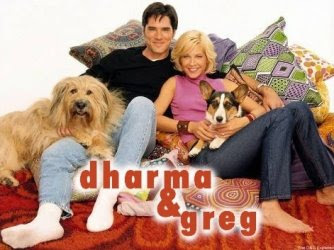 The new TV season is only in its second week, but already there has been a noteworthy sighting of minutiae -- an insider's joke during the end credits of ABC's "Dharma & Greg." Roger Green of Albany telephoned last week to point out the producer's credit for Chuck Lorre Productions that included lines of type running down the screen in less than two seconds. "I believe that the obsessive worship of movie, TV and sports figures is less likely to produce spiritual gain than praying to Thor." "I believe that the Laws of Karma do not apply to show business, where good things happen to bad people on a fairly regular basis." "I believe when ABC reads this, I'm gonna be in b-i-i-g trouble." A spokesperson for the show's production company said this type of credit is unusual, but wouldn't confirm whether it will be different each week. But the lightning-fast statement concluded with this hint: "Please be sure to tune in again to this vanity card for more of my personal beliefs." Set your VCRs tonight for just before 9 p.m. and prepare to freeze frame. I recall specifically that I taped the new show only because I was about to watch it when my good friend, the late Lillian Johnson, called right at 8:30. So I taped the show on the VCR. Then I watched it immediately thereafter and had a "what was that?" moment. It was three weeks before I saw the phenomenon mentioned in Entertainment Weekly, so I'm going to assume I was among the first to note it. See all of Chuck Lorre's placards, for The Big Bang Theory. Two and a Half Men and Dharma & Greg here. Apparently, he wasn't doing the messages for Cybill or Grace Under Fire. Not so incidentally, I can't help but think of Jenna Elfman whenever I hear about the Dharma Initiative on Lost. Something happened recently, and my wife, who I must note rarely even reads my blogs, said, "Why don't you ask your readers" about a particular topic. I couldn't just ask you one simple question, though. I figure I'll ask you a series of question, all initiated by nearly 10 years of marriage. I'm going to try not to color the responses by what position I take versus what position she takes. 1. Where does your garbage cans reside on the days the garbage isn't going out: in the front of the house (including the front porch), on the side of the house, or the back of the house? 2. Do you wash your brand-new clothes before you wear them for the first time? Is the answer different if we're talking outerwear versus underwear? 3. Does it make sense to take dirty clothes from the first floor to the second floor so that they can be sorted, then taken to the basement to be washed? 4. Eating cottage cheese with eggs, the way you'd eat toast with eggs: normal or weird? 6. Not actually a question. Explain, if you can, the current scoring methodology for figure skating, how to calculate earned run average in baseball and why anyone watches soccer on television. It was my original intention to let the passing of the Presidency of George Walker Bush go unmentioned in this blog. There are plenty of other people who could, and have, dissected the last eight years of cronyism and incompetence, war, torture, loss of civil liberties, lack of regulations, etc. etc. I don't have the energy, mostly because I've been under the weather the last few days. If anything, I was going to just go back to the first year of the Presidency. I recall that dustup with China and was thinking, "What's Clinton going to DO about this?" Then I remembered, "Wait, Clinton's not President anymore? Who the heck IS President?" After that long, tortured completion of the 2000 election, ending with the Supreme Court making a President, and despite the fact that I watched W's inauguration, I truly absolutely forgot he was the President, so little did his Presidency imprint up to that time. There was his limited stem cell address in August. I opposed his position, but it was unsurprising. Then there was 9/11. Some people criticized him for not returning immediately to Washington, DC; I totally disagreed. The Pentagon had been attacked, and it seemed like a reasonable precaution. But pretty much everything from that point on, from the USA (so-called) PATRIOT Act to the cowboy rhetoric (catching bin Ladin dead or alive - how did that turn out?) to the lack of focus in Afghanistan. Then the build up to war in Iraq - and the faulty intel that got us there; but if Scott Ritter and Barack Obama and I knew it was a fool's task, why didn't he? From "Mission Accomplished" to Abu Gharb and Gitmo, this was a failed Presidency. 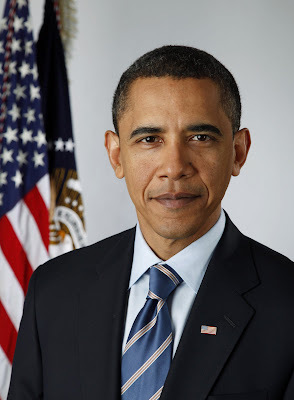 Then he got a second term, where the (lack of) response to Katrina and the economic crises were the defining events. But I was just going to let it pass, let him pass. I was going to ignore the recent revisionist history cooked up by W and his cronies. Until Monday. I took the day off to catch up on some reading, writing and TV watching. I turn on the television set and there's GWB's final press conference right out of Bizarroworld. My goodness. "Not finding weapons of mass destruction (in Iraq) was a significant disappointment." Disappointment. Oops. "Even in the darkest moments of Iraq,” the president said, he and his staff found that there were times 'when we could be light-hearted and support each other.'" Yeah. Tee hee. "I disagree with this assessment that, you know, that people view America in a dim light," he said. "It may be damaged amongst some of the elite. But people still understand America stands for freedom." I'm reminded of one of his exit interviews with Martha Radditz of ABC News.Bush talked about fighting al-Qeada in Iraq; the reporter noted that, before we invaded, there WAS no al-Queda in Iraq. W responded, "So?" The other tipping point is a relatively minor matter, in the grander scheme of things, but seemingly points to a pettiness I did not expect: the inability of the Obamas to move into Blair House. So how will history judge the 43rd Presidency? GWB is leaving office with the lowest final approval rating compared to all previous Presidents over last 40 years. Worse than Nixon, and he was practically impeached. I think he'll be remembered as a President who had a remarkable opportunity after 9/11 to unite the world (the headline in the leading French paper on 9/12/01 was "We are all Americans"), but instead engaged a morally and strategically dubious war, could not even respond to the needs of his own people in a disaster, and helped set in motion the worst economic collapse in a couple generations. So who had the Cardinals vs. the Eagles in the NFC title game in their preseason picks? I'm going to need to see some proof. In the past two weekends, I've seen at least parts of all eight games, which is more football than I watched the previous 18 weeks combined. Thanks to the magic of the DVR, I actually saw the Pittsburgh/San Diego game on Monday morning. The only one of the eight I saw in real time was the Eagles/Giants game on Sunday afternoon. To which I can only say, How do people actually watch commercials anymore? Not only are they annoying, they are replayed endlessly; a particular Subway commercial was effective in making me wonder if I'll ever go to one of their restaurants ever again. 1. Philadelphia Eagles - making the playoffs through an improbable set of circumstances the last weekend (two potentially playoff-bound teams losing to lesser opponents while the Eagles demolished the Cowboys) with a quarterback, Donovan McNabb, who was benched for a time this season. I always like McNabb, who played in Syracuse (yay, upstate NY!) 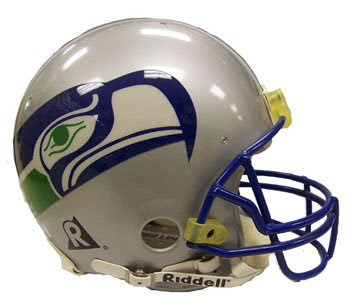 and whose pick was booed by some of the Eagles' fans before he'd even put on his helmet for the first time. 2. Pittsburgh Steelers - yes, I'm rooting for the two PA teams. Call it geographic bias. But I like the QB, Ben Roethlisberger. I especially like receiver Hines Ward, who really embraced his Korean heritage a couple years back. 3. Arizona Cardinals - the Cinderella team, though it's been the Team of Destiny for Couch Slouch, Norman Chad for a few seasons now. 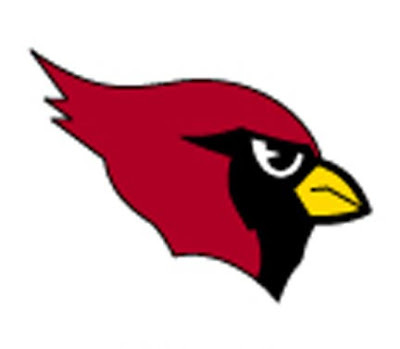 The problem is that: 1) I can never remember where the Cardinals actually play. Chicago? No, that was many years ago. St. Louis? No, not any more, though St. Louis has the Rams that used to play in Los Angeles. 2) I'm not a big Kurt Warner fan. I'm sure this has something to do with his excessive religiosity. He also was less than stellar in his brief stint as Giants QB. 4. Baltimore Ravens - I just don't like the Ravens. And I particularly don't like Ray Lewis. Odd synchronicity: this weekend saw action by all three quarterbacks who lost Super Bowls to Tom Brady (Kurt Warner, Jake Delhomme, Donovan McNabb) and the one who beat Tom Brady (Eli Manning). I think there should be no points but the team recording the safety should automatically take possession at the 50 yard line. 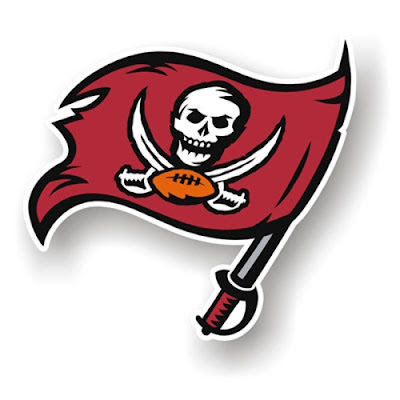 The problem with that is that a team could intentionally go out of the back of the end zone and the team would have potentially better field position than it would if it had to punt from the back of the end zone. Now, talk about putting the ball on the 20-yard line of the team suffering the safety; THAT might be better than two points and receiving a free kick. I thought Rickey Henderson's vote to the Baseball Hall of Fame was obvious. My only surprise was that he was eligible. I thought he was still playing ball somewhere. He probably won’t, but Rickey should go in as a member of the A’s. As for Jim Rice, I’ve favored him getting in for as long as I can remember. This is what I wrote two years ago: Jim Rice 13th year. PRO: Eight All-Star teams (1977-’80, ‘83-’86). Seven .300 seasons, four 200-plus hit seasons, three 100-plus run season (consecutively from 1977-’79),30-plus HR four times, 40-plus HR once, and 100-plus RBI eight times. Led AL in total bases four times in 1977 (382), ‘78 (406), ‘79 (369) and 1983 (344). One of 31 players with 350+ home runs and a .290+ career batting average. Only player in history with three straight seasons of 35+ home runs and 200+ hits. CON: Prickly relationship with the press, who would note that the one time his Red Sox got to the World Series (1986), they didn’t win. That he got in during his final year of eligibility suggests that the voters spent less time on his personality and more time on his stats. Patrick McGoohan has died. I watched The Prisoner religiously. I also saw him in other things such as Braveheat, but The Prisoner was his signature role. Ricardo Montalban also has died. I wrote about him only three months ago. 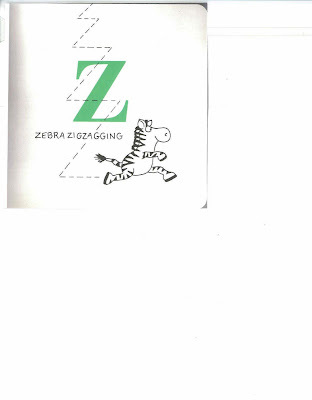 Even in non-alphabetical books, the zebra will get its due, such as in The Zoo Book by Jan Pfloog (1967); even the book is in the shape of a zebra. 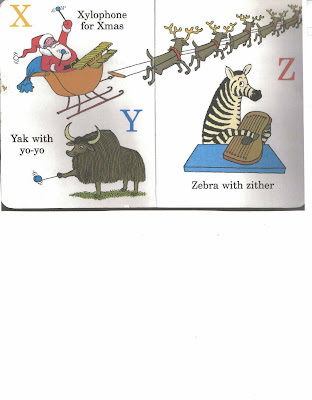 Now, in English, an X in the first position usually sounds like an Z, such as xylophone. (An exception is a word like X-ray, where the letter sounds like ks.) 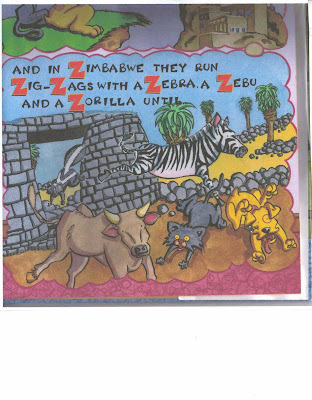 Maybe, to lessen the burden on the poor zebra, we should attribute to Z some of those X words. Or not. One of the first jokes I ever learned: what black and white and red all over? 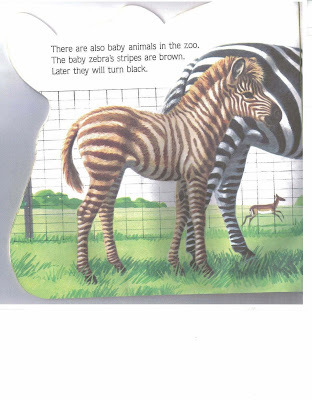 A sunburned zebra. 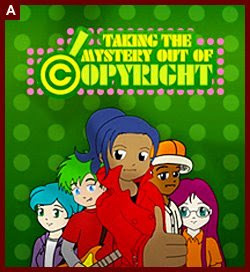 I'm forever fascinated with copyright law. Article I, Section 8, Clause 8 of the US Constitution empowers Congress "to promote the Progress of Science and useful Arts, by securing for limited Times to Authors and Inventors the exclusive Right to their respective Writings and Discoveries." Note the words useful, exclusive and especially, limited. I'm not going to go into a dissertation about how the changes in copyright law in the United States I believe is contrary to the original intent. I can't find it presently, but there was a recent story about a guy who played on the original sessions for the Beatles' album Revolver (1966) and that his payments would end soon because British copyright law's term will have ended. It was suggested that Britain might seek a copyright law similar to that currently employed by the United States. To which I only have five words to say: NO, NO, NO, NO, NO! Harry Potter Lexicon Decision Analyzed - by the ARL and the ALAs. The article, by Jonathan Band, is entitled How Fair Use Prevailed in the Harry Potter Case (PDF). Judge Rules Facts Are Not Copyright-Protected - this re: two movies about the 1970 plane crash that killed the Marshall University football team. Hasbro Drops Lawsuit Against Makers of Scrabulous - R.J. Softwares won't use the term "Scrabulous" and made changes to the game after the lawsuit had been filed. Canadian Copyright Board Increases Tax on Blank Compact Disks- from 21 cents to 29 cents. In each of these cases, I feel that common sense has won out. I don't want to say it's a frivolous lawsuit, since clearly harm was done to the copyright holder, about $5000 in fees. But to get from $5K to nearly a billion dollars is a circuitous argument that practically begs for tort reform, something I generally think an overstated argument. Everyone who has done this meme, Tom the Dog and SamauraiFrog and the person who tagged him and the person who tagged that person has explained what they mean by "favorite" actress differently, or not at all. So I'll define it for me. These are actresses that I've seen large numbers of their movies; not necessarily the best actresses, but ones who, for whatever reason, I end up seeing, and for the most part, enjoying. Since I don't know how to do that clever little box of photos, instead I'll be listing the first, most recent, and favorite movie I saw them in. I'm only considering theatrical movies, not TV. Cate Blanchett - Oscar and Lucinda (1997), Elizabeth: The Golden Age (2007), Elizabeth (1998). She's been in so many movies I've seen, I thought she'd been around even longer. 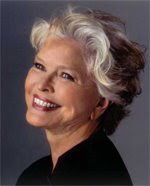 Ellen Burstyn (pictured) - The Last Picture Show (1971), Divine Secrets of the Ya-Ya Sisterhood (2002), Requiem for a Dream (2000). She should have won the Oscar for Requiem, which she lost to Julia Roberts. Hope Davis - Flatliners (1990), Synecdoche, New York (2008), American Splendor (2003). I don't remember her in Flatliners, TTTT, but I've seen the first and last movie listed for her in IMDB. Judi Dench - Mrs. Brown (1997), Notes on a Scandal (2006), Iris (2001). I would have thought I had seen her in films earlier. 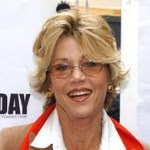 Jane Fonda (pictured) - Barefoot in the Park (1967), Stanley & Iris (1990), They Shoot Horses, Don't They? (1969). An actress who I saw a lot in the day, but not much recently. But then she hasn't done much recently. Jodie Foster - Alice Doesn't Live Here Anymore (1974), Contact (1997), The Accused (1988). Also haven't seen her much lately, but saw her quite often in the day. Diane Keaton - The Godfather (1972), Something's Gotta Give (2003), Annie Hall (1977). At least 5 Woody Allen movies on the list. Laura Linney - Dave (1993) The Savages (2007), You Can Count on Me (2000). When I decided to do the list, one of the two automatic choices. Mary Steenburgen - Time After Time (1979), Sunshine State (2002), Philadelphia (1993). Early in her career, it seemed as though every other movie I saw, she was in. Remember when Jude Law seemed to be in every other film a couple years ago? Well, it was like that. Meryl Streep - Julia (1977) The Devil Wears Prada (2006) Sophie's Choice (1982). The other automatic choice. As everyone mentioned, this was tougher than it seemed. I tried Minnie Driver, Glenn Close, Anne Hathaway, Keira Knightley, Sissy Spacek, and Kate Winslet, but they didn't quite meet the criteria I set, though I suspect if I get back into movie-watching mode Hathaway and Knightley might make the list. It's that time of year again. Somehow, I've become the unofficial leader of the group of people to put this thing together in my church this year - again - and I'm not sure what new angle I can come up with. Oh, it not as though we have absolutely zero planned. We have a speaker for one Sunday. There will be a kente cloth presentation. And I expect there will a luncheon after church one week. More at issue are three weeks of adult education. I think one Sunday the topic will be related to race relations in the era of an Obama presidency. How does he change the conversation? Some think this means the black community has arrived, and such things as B H Month are no longer needed! To that last point, I would disagree. A Swahili aphorism states: "You are what you make of yourself, and not what others make you." A positive self-concept is important, and so an awareness of the richness of Black history becomes important. This is one of the reasons we continue to celebrate Black History Month, first celebrated in 1926. Another thought is to use the class would to show film clips - 15 to 20 minutes - and then discuss for remainder of class. One white person suggested segments from White Man's Burden, a 1995 movie I was unfamiliar with. (Anyone out there seen it? ) He said this film is always an eye opener for white audiences, and it does a good job of showing unnoticed race-based behaviors and norms in our society. I will be participating in "The 3 Biggest Diversity Blunders Your Organization Could Be Making Right Now (And How to Avoid Them)" workshop in a couple weeks, and that might have some help. But that won't be for a couple weeks, and I need to put something together for the church newsletter this Friday. Any thoughts about resources you would use? It's a brand-new year. Everything is shiny and fresh. Yet I feel a tad, oh, let's say, not 100% positive. I sorta kinda understand what Obama was trying to do picking Rick Warren - my local newspaper, back on December 19, editorialized in favor. But the letters - here's one example - definitely disagreed, rightly. FBI Warns of Inauguration Terror Threat. Swell. I've been nervous since the open-air conclusion to the Denver convention. That blonde conservative woman has managed a faux insult into more self-serving promotion: "After NBC canceled me 'for life' on Monday -- until seven or eight hours later when the ban was splashed across the top of The [Sludge] Report, forcing a red-faced NBC to withdraw the ban." As Col. Potter used to say on M*A*S*H, "horse hockey!" This week, after CNN did a story on the Gaza war, teased with the next story about "Oprah's war". It turns out it's with her weight! Not only is it an unfortunate segue, Oprah's weight - who cares! - was so last week. Joe the Plumber Heading to Middle East To Be Correspondent for Conservative Media Outlet. Joe, who I've NEVER heard say anything approaching coherent, has officially reached minute 16 of his 15 minutes of fame. The whole Roland Burris thing. I never thought Congress really had to right to not seat him, unless he were under 30 (he's over 70) or didn't live in Illinois. More than that, Evans-Novak play it as sport: "Burris and Richardson Flaps and Panetta Pick Enliven Washington". I'd link to the story except that it seems to be attached to some computer virus. And it's cold, it's going to snow again tonight and by Friday, it'll even be colder, with highs in the low teens. I need something to lift my spirits. 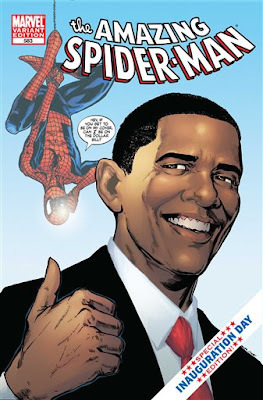 How about Obama and Spider-Man appearing in a comic together? Naturally, I owned this item in vinyl. That was because I was a big fan of Herb Alpert and the Tijuana Brass. Really, I owned The Lonely Bull (A&M 101, the first item in the catalog; the stereo equivalent was 4101), the second album, Going Places, as well as Whipped Cream, and perhaps others. Unfortunately, when a bunch of my albums I had left at my grandmother's house were stolen in 1972, they took all of my albums with the artist name A, B, many of the S range, and the T-Z. (This included my Capitol Beatles albums, though my Apple Beatles albums were with me at college.) So the TJB (as I used to abbreviate the group) was gone too. So I was thrilled in the mid-1980s to find a used copy of Whipped Cream on sale for a buck. 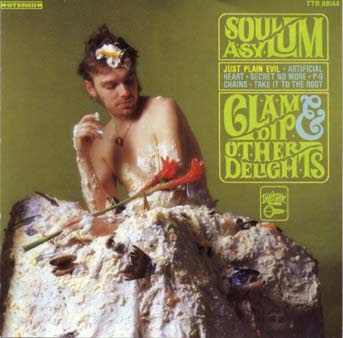 I was less thrilled that while the cover was Whipped Cream, the album was Going Places. Not so disappointed, though to buy the LP again (on sale for $21.98) but maybe the CD ($10.98). After all, I already have the 12 X 12 cover. The last album cover above was for a tribute album to that original classic. 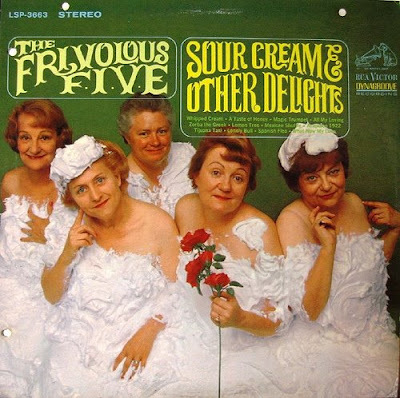 You can find many variations of covers of this album at Album covers spoofing album covers. 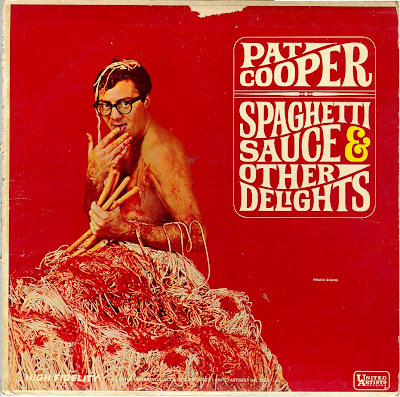 Presently, the original album cover is at #66, with the spoofs following, but as the contributions to the site are added, it will invariably move. One last thing; as attractive as the woman on the left is, she'll never be iconic like the lady on the right is.